Kim Kardashian hosted a private party on the Eiffel Tower last night and it was rumored that she and her guests guzzled a total of FIFTEEN bottles of champagne during the event. Naturally, because her stylist is a complete d***, Kim was dressed horrendously. If you’re wondering what else went down at the shindig, it was mostly just a bunch of trashy girls posing in front of historical structures acting like they fathomed any understanding of their significance. But we’ll show you the rest just in case you’re interested. 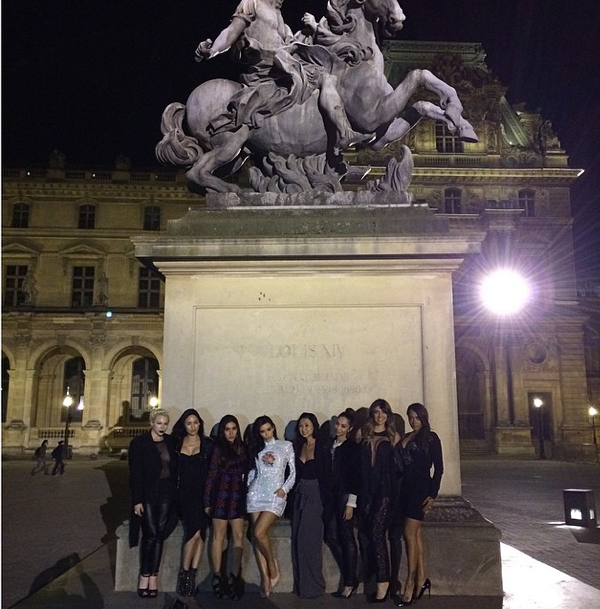 Here’s Top Ten Kim’s One Night In Paris. 10. First and foremost- Kim looked like an exotic Marie Antoinette circa 2099. 9. A paraplegic girl ogled at Kim’s dress. 8. 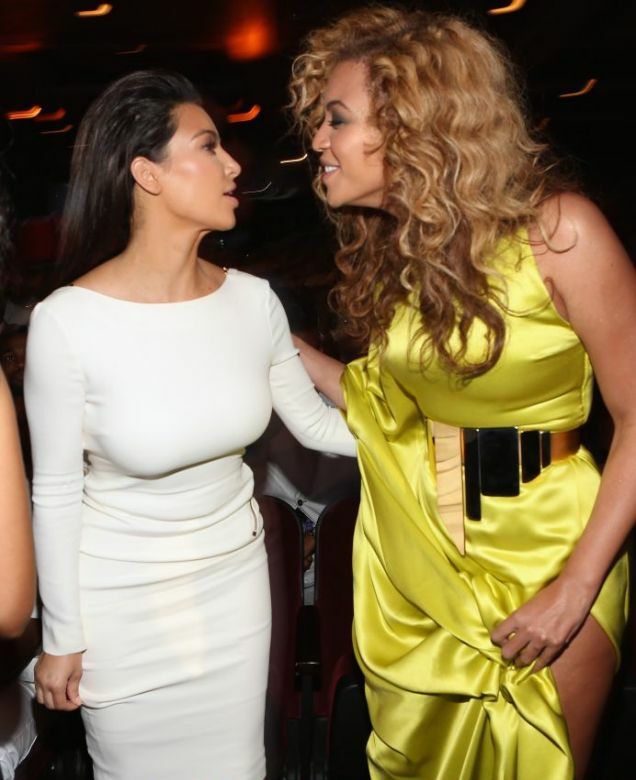 So Kim posed for a picture with her. 5. 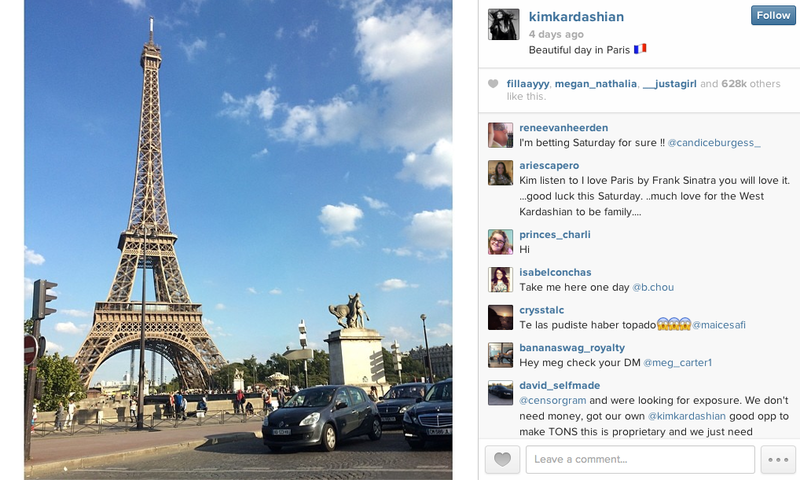 Kris Jenner road a carousel with Jonathan Cheban. 4. Yeah. 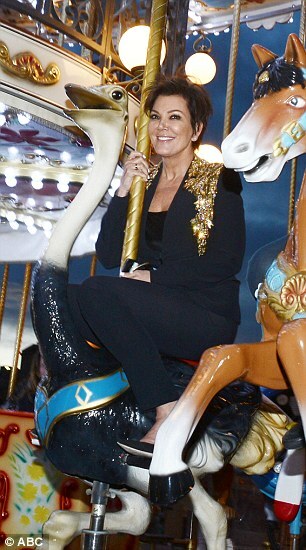 Ride that pole, Kris. 3. Later on in the evening, Kim and her posse took things indoors where they partied all night long. 2. 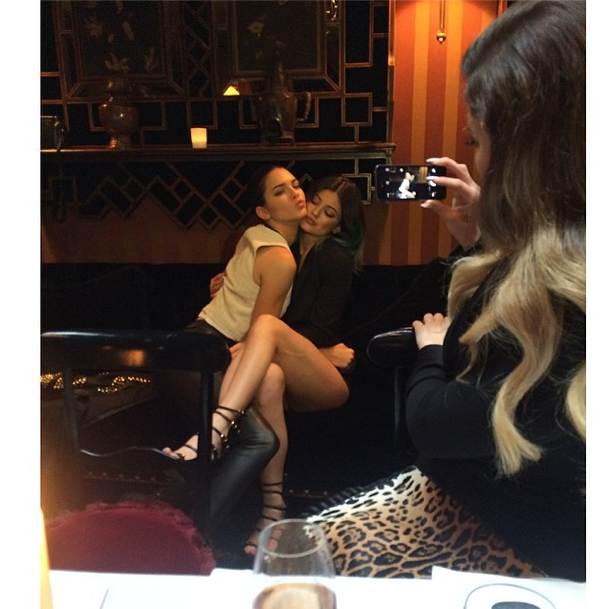 Where Kendall and Kylie were participating in posing for cameras as well. 1. The highlight of the evening by far, however, was when Kylie nearly slipped, fell, and died.